A field, ripe with wildflowers, wind-dances in the golden light. Amidst the glinting sunbeams, a little boy sits unaware of the glorious picture that surrounds him. In his hand a single dandelion, delicate and desperate. The boy’s cheeks puff, lips pucker, and soon the tiny ephemeral white flowers explode off into the air, wafting through the sky. Where they land only God can know. 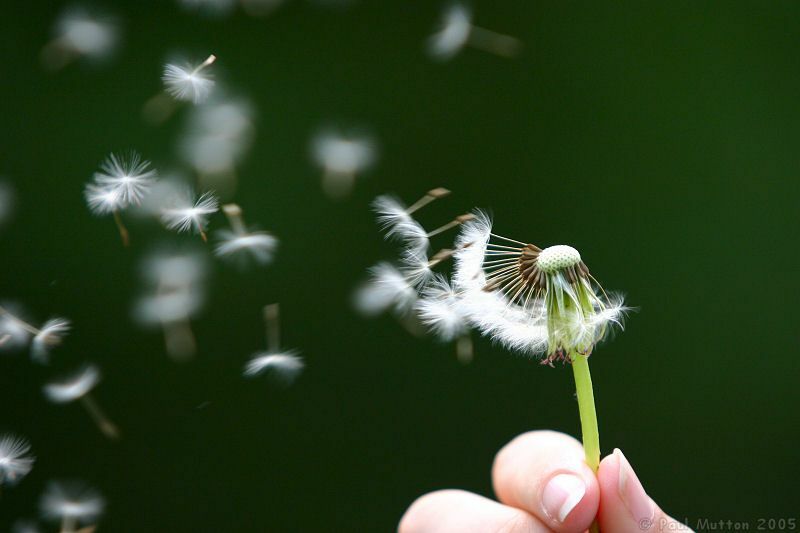 I still recall the days when blowing dandelions into the wind delighted my little girl heart. Watching those white flutters sail off into the air fascinated me. Their gentle flight always ended in an unknown destination, an enchanting place full of fulfilled dreams. In our kid-mind, magic happened with a simple puff of air. The more I think of the dandelion’s flight, now that I’m adult, I am a little alarmed by the unknown destination. As a child, or even as a teen, uncharted territory excited us. But now, the idea of wafting through life’s “air” isn’t so appealing. Let me explain. From the time I was a little girl, my parents instilled in me the idea that I could do anything, be anything, or go anywhere I wanted in life. I believed them, so much so that I set about walking out my ambitions. I studied hard and made good grades. I played hard, and became a part of various athletic teams. I loved strong, and eventually found my true love. I knew what I wanted, and I loved the idea of the unknown that lay before me, but I worked hard to make my desires become reality. Flash forward, to an age quietly referred to as “grown-up.” (I believe it occurs somewhere around 30.) Wafting become a daily part of my life. My husband and children, my career, my responsibilities, determined where I went, what I did, and when I did it. I found myself simply surviving, letting the wind blow my tiny white flowered-heart wherever it wanted. Rarely, did I do anything for myself. There was no time to make goals, to invest in myself, to invest in the dreams that I still had (although, I had to think long about what they were). I wafted chronically! I had plenty of excuses for that wafting period in my life: constant busyness, adult responsibility, financial commitments, motherhood sacrifice, and insufficient daylight hours. After almost 10 years of floating along the stream of life, I decided it was time: time to invest in me, make deposits into the life that I wanted to have. I loved my family, my career, my friends, but I still had things I wanted to do. So I took steps to invest in myself. I spent money on myself, not on materials things, but on classes to help me achieve my dreams. I took time for myself, not for a pedicure (although I’m not against a good pedi), but to spend time working to achieve those dreams. I fought the guilt that accompanies most mothers when they focus a little on themselves and not constantly their families. I took comfort in God, who constantly reminded me that He gave me gifts – I was supposed to use them, not pretend they didn’t exist. Finally, I rejoiced in the contentment that bubbled up each time I spent working on my gifts. Pieces of me began to return that I hadn’t seen for a long time. Oh, dandelions are good for wishing, good for a cute picture, but their wafting ways won’t lead always lead to a enchanted destination. Wafting can be beautiful when watching a dandelion flight, but it has very little purpose in the life of an adult. It’s time: no more wafting. Invest in yourself, grow, and be all that God designed you to be. What area in your life are you feeling a call to quit wafting? What goals do you want to achieve that calls for an investment in yourself? What encouragement can you offer to those pursuing their dreams, whether small or great? This entry was posted in Family Life, Women's Issues on May 21, 2012 by aliciachall28.